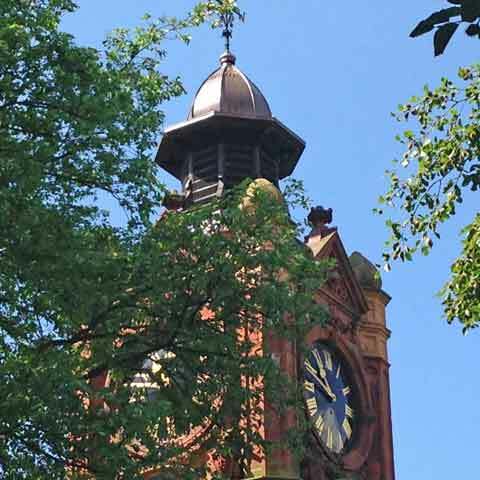 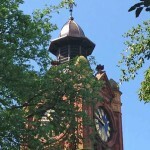 This Victorian clock tower, standing in the centre of Preston Park, Brighton, is a well-known Brighton landmark. 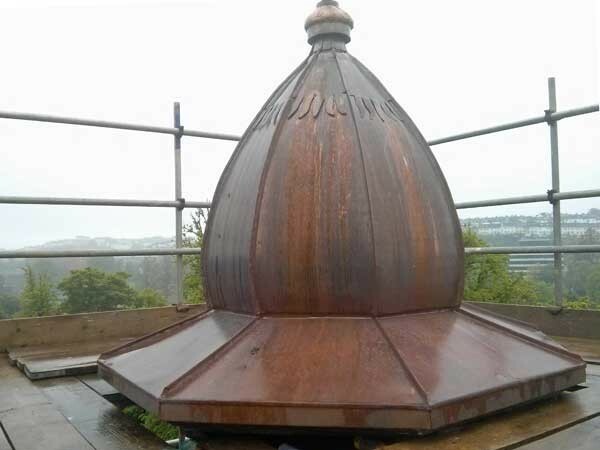 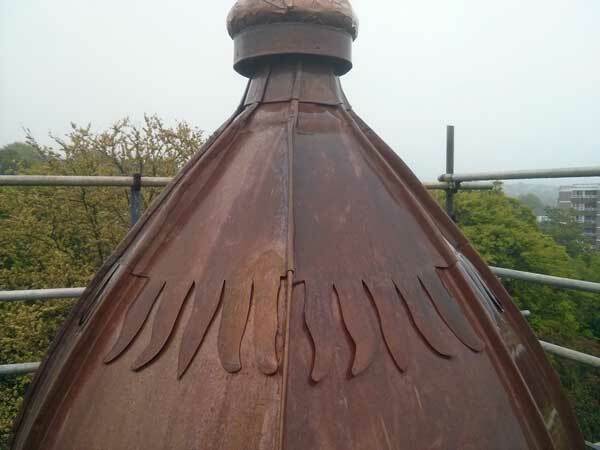 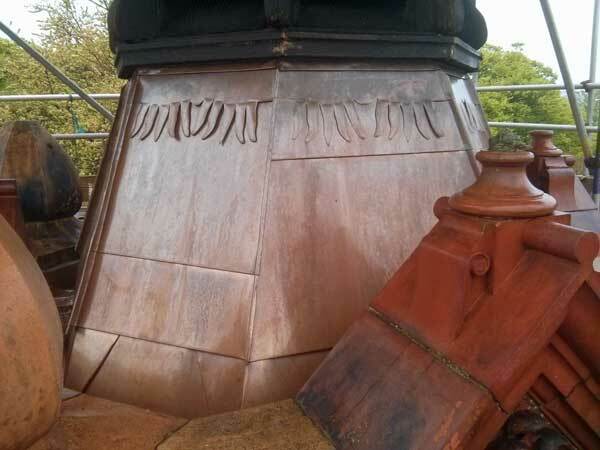 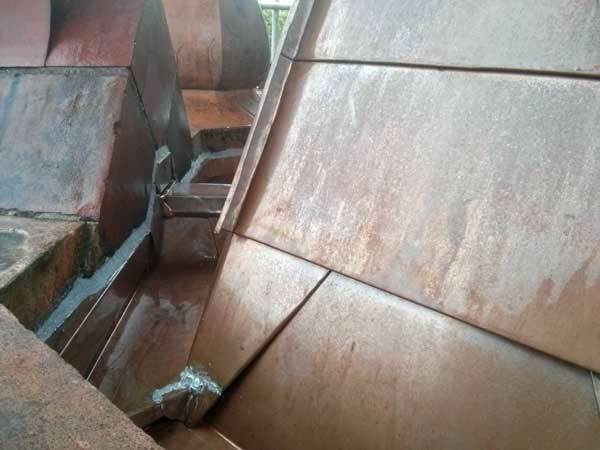 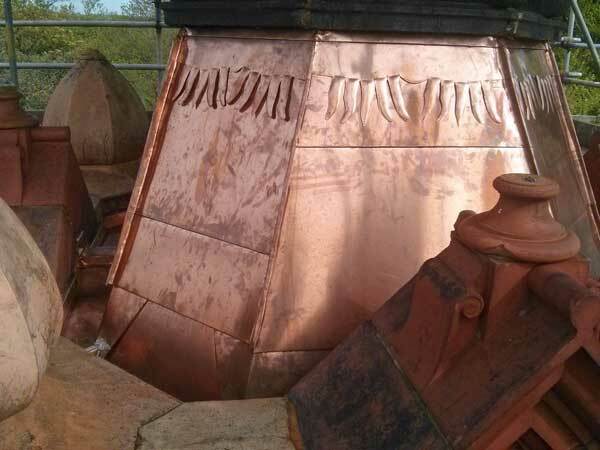 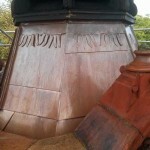 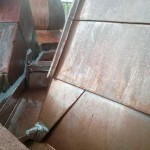 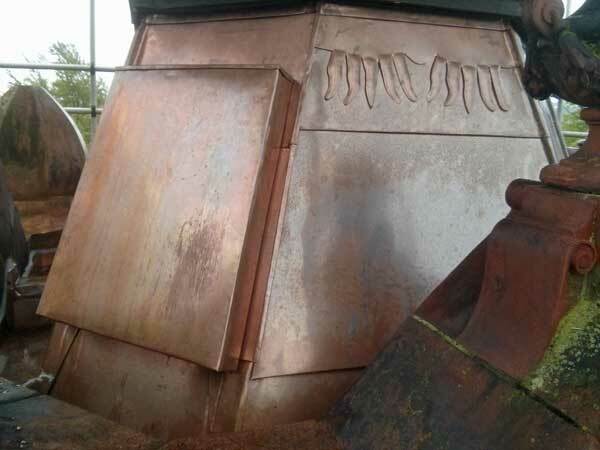 The original copper cladding to the top section and cupola had reached the end of its life and we were asked to replace it. 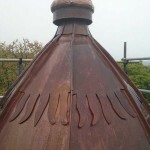 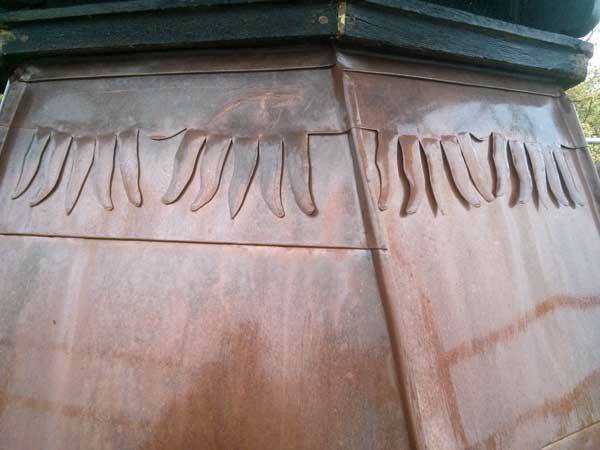 The job involved some decorative ‘leaf’ work and some intricate welts in the gutters. 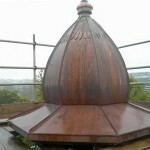 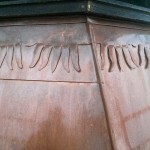 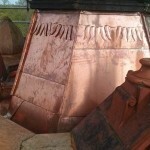 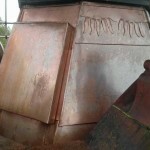 We used copper leaf to clad the spherical detail at the very top.